We left Provincetown early Sunday morning with the plan to sail to Boston and moor up for a week in the city for a change of scene, however as we reviewed the weather the week was due to be seriously hot, so we cancelled our reservation and opted to go into Marblehead. Enroute we tried to arrange a mooring with the help of a friend, however the harbour is tightly packed with yachts, mostly much smaller than Askari and the only mooring ball we were offered was right out in the swell. Andrew quickly studied the other options as it was getting late in the day and we headed into Salem while I called for a mooring. As soon as we got there we went ashore to explore this fascinating town. Salem is famous for it's Witch trials in the 1690s, where twenty people were executed accused of witchcraft - victims of fear and superstition. 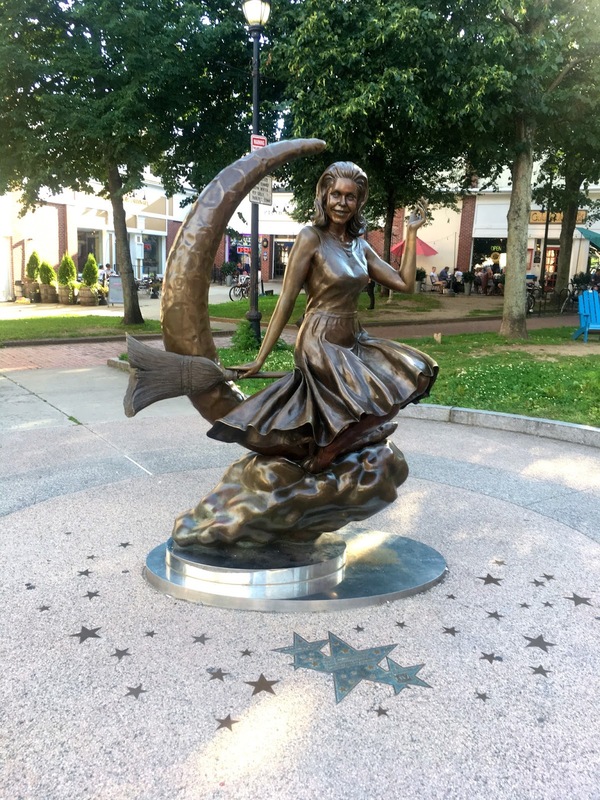 Now Salem offers a human rights award in their memory and has a beautiful memorial but also celebrates all things witchy, dark and spooky..... The town also has some lovely historic properties, a lovely old wharf, lots of great art and one of the top museums in the United States Peabody Essex Museum -unfortunately it was late in the day so we had to skip PEM and found a brew pub on the river serving german style beer.